In addition, this task force works in close collaboration with the Regulatory Committee on the revision of EU regulations, especially those related to biostimulants and phosphites. The TFIO is in charge of providing scientific evidence, as well as proposing definitions, requirements and the appropriate claims for the products in these categories. 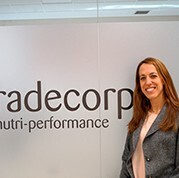 The European Biostimulants Industry Council (EBIC) was founded in 2011, with Tradecorp International being one of its founding members. Since then it has grown, and currently has 55 members. The group’s focus is to foster the role of the biostimulants sector in Europe in helping agriculture to be more sustainable and resilient and to push an appropriate regulation for biostimulant products within the framework of the incoming European fertilizing products Regulation.